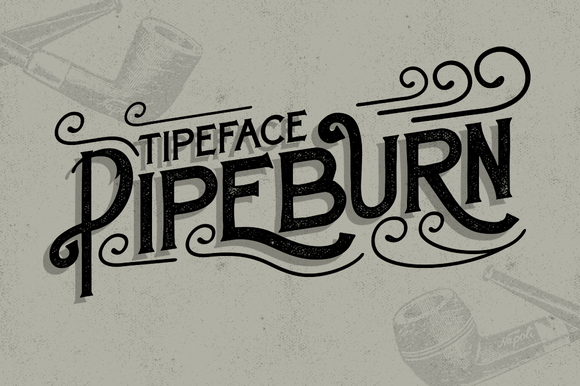 Pipeburn Typeface is a typeface created & published by Try & Error Studio that the author was inspired by old character on Tabacco Pipe. It is perfect for posters, vintage design, display etc. A font description published on Tuesday, September 23rd, 2014 in Fonts, Pipeburn Typeface by Alexandra that has 5,888 views.